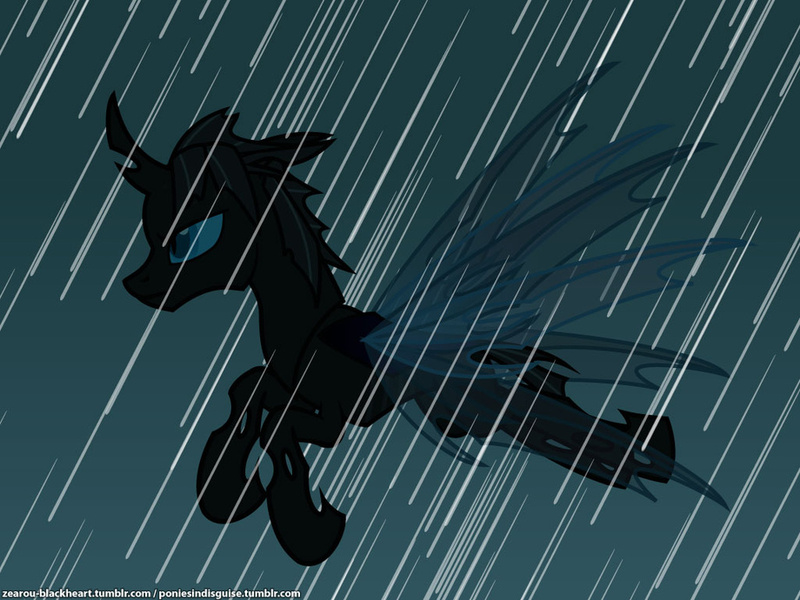 Ponies in Disguise: Blackheart finds... a beehive? This is just some random art based on the relatively new poniesindisguise, which is inspired by the changelings from the second season finale of My Little Pony: Friendship is Magic. Currently, there doesn't appear to be a specific plot, but this tumblelog features various changeling fan characters gathered together in the same hive. Will we get to see more of Blackheart here? Only time will tell. I'm picking up a lot of chatter here. It seems to be coming from inside that... beehive? Seriously? Are they trying to attract ursa majors or something?